It’s normally six months old babies that are weaned off slowly from breastfeeding and introduced to solid food. 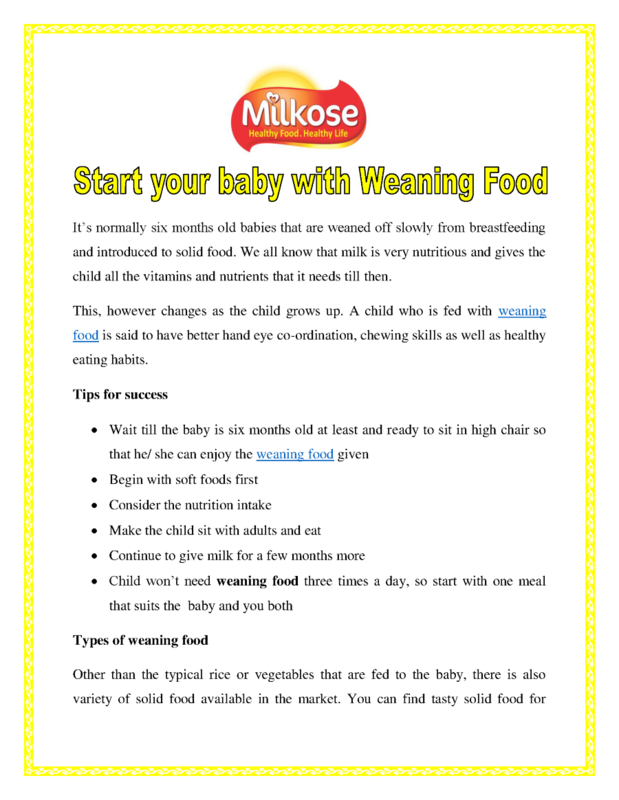 We all know that milk is very nutritious and gives the child all the vitamins and nutrients that it needs till then. This, however changes as the child grows up. A child who is fed with weaning food is said to have better hand eye co-ordination, chewing skills as well as healthy eating habits.